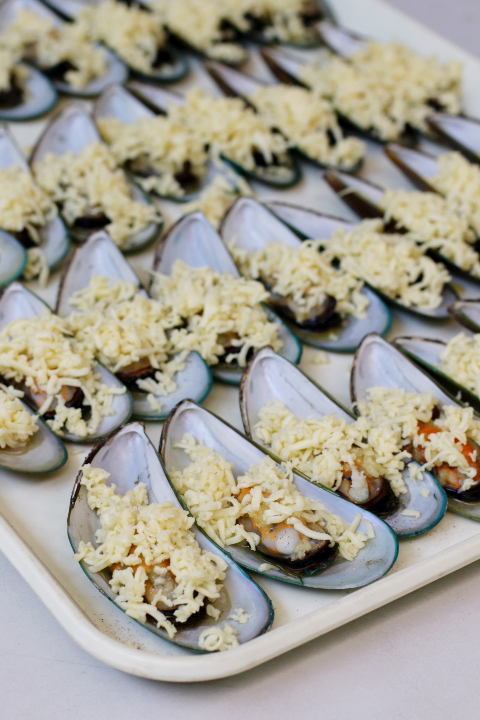 When my siblings and I were still kids, our mom would prepare a huge bowl of hot mussel soup with onions, ginger, and leaves of chili and a generous serving of cheesy “baked” tahong at home. Sometimes, she even let us help out by putting garlic, melted butter, and cheese on the mussels before they were toasted. More than a decade later, I still enjoy these dishes. Not only are they very easy to make, but they also have a naturally sweet and rich taste as well. 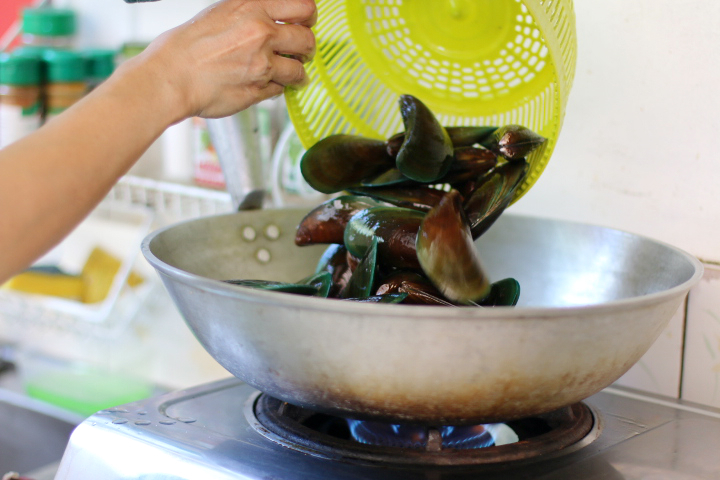 Since the market and supermarkets close to our place rarely sell fresh mussels, we don’t get to cook mussels as often as we did before. 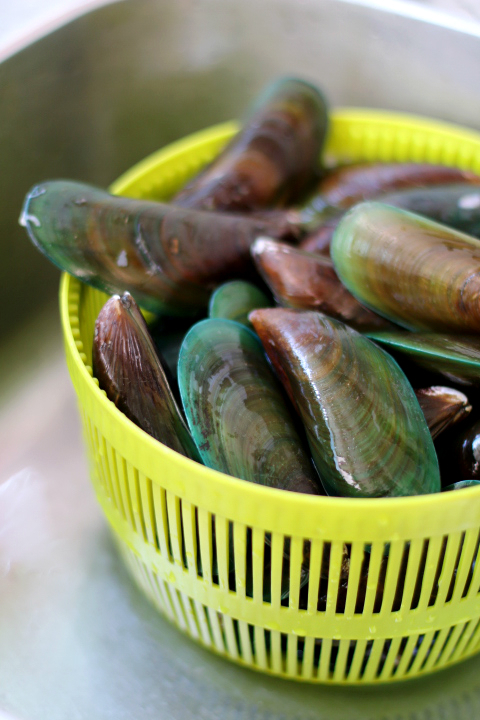 So, when I had the opportunity to visit Farmers Market in Quezon city a few weeks ago, I only had one goal in mind: To buy fresh mussels. Hahaha. Okay, fine. I had three goals. The another two were: to scout for fresh ingredients and take photos around the market just because it was my first time to visit the place. After a few hours in the market, my mom, brother, and I went home with plastic bags full of fresh fruits, vegetables, root crops, and seafood. 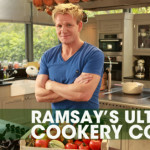 Yes, including a kilo of fresh mussels. Yay! As soon as we got home, my mom and I started to work in the kitchen. 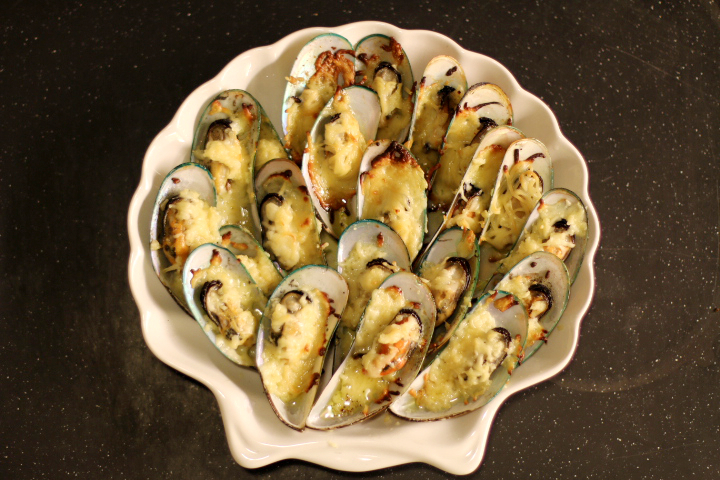 For our dinner that night, I was assigned to do the baked mussels and my mom was in-charge of the other dishes. While I was cleaning the mussels and trimming the beards (stringy part in the mussels), I noticed one opened mussel. 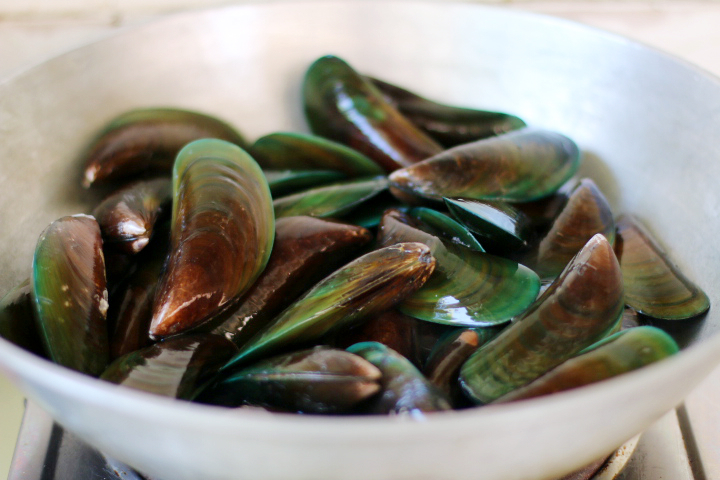 My mom taught me about bad mussels when I was still a kid, so I knew that the opened mussel was a bad one. 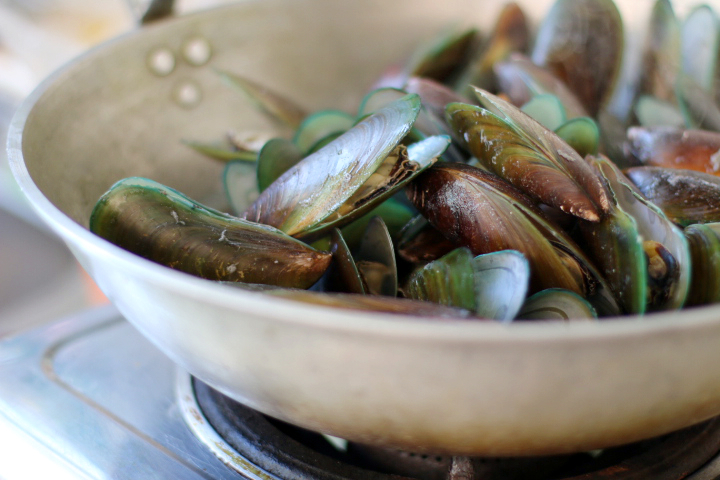 The shells of fresh mussels must be tightly closed before they’re cooked or they should at least close tightly when they are tapped. Otherwise, they are already dead and not fresh enough for us to eat. I was a bit disappointed because the opened mussel was going to go to waste. So, in my attempt to salvage it, I double checked and asked my mom again: “Mom, are you sure we really can’t cook and eat this anymore?” She looked at the mussel and said: “Yes. We can’t since it has already been open and dead. 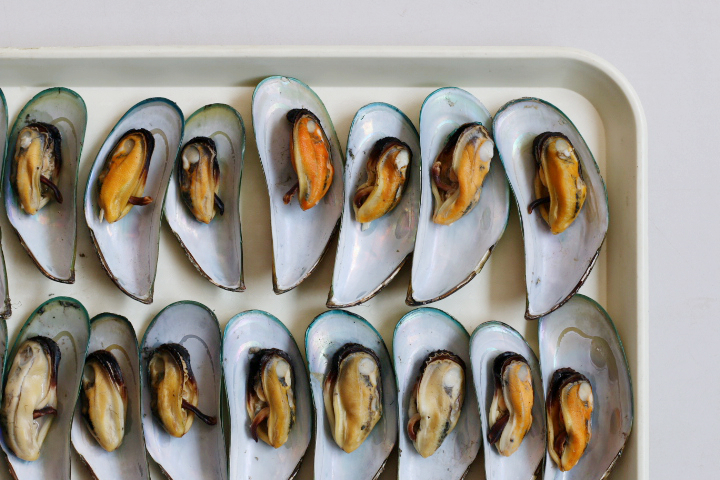 Opened mussels may be contaminated too.” And just like that, it became clear to me again. I realized that I shouldn’t use it anymore. While I was assembling the cooked mussels, I remembered the bad mussel in the trash. It would have been crazy if I decided to include it in the batch of fresh mussels for our dinner. Thankfully, my mom was there to reassure me of how to distinguish fresh mussels from bad ones. In that moment, I realized that it’s sort of similar to being accountable to a family member, a friend, and God in the different moments in our lives. 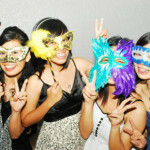 Yes, we know what is true and what we ought to do. But, sometimes, we get distracted along the way and we think that it’s okay to do things our way or to depend on our knowledge and strength. 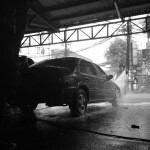 It is during moments like this where we see the good and beauty in accountability. When my mom reassured me that it was a bad mussel, she was helping me understand the nature of mussels and was protecting me and our family from possible sicknesses and bacteria that may come from it. In the same way, having family members or friends who can graciously correct and guide us according to God’s Word is one of the many privileges and blessings that God allows us to experience. When we remain accountable to God and others, we can be more intentional in fleeing from sin, making wrong decisions, or stepping out of our comfort zones so we can grow in areas of weaknesses. It says in Proverbs 27:17, “As iron sharpens iron, so one person sharpens another.” It might sting a little, but it would definitely be a good practice for us to have our hearts checked by others regularly. 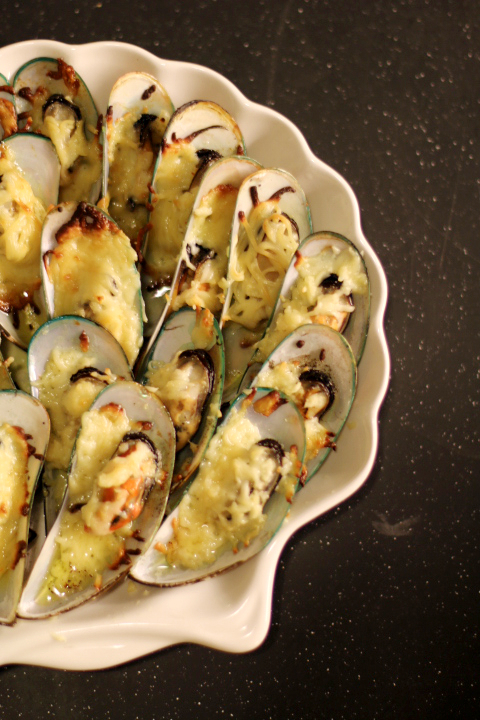 Oh, and feel free to make Cheesy Baked Mussels this week! CLEAN. Rinse and scrub the shells to remove the dirt. Trim the beard attached to the mussels. STEAM. In a large pot, bring two cups of water to a boil. 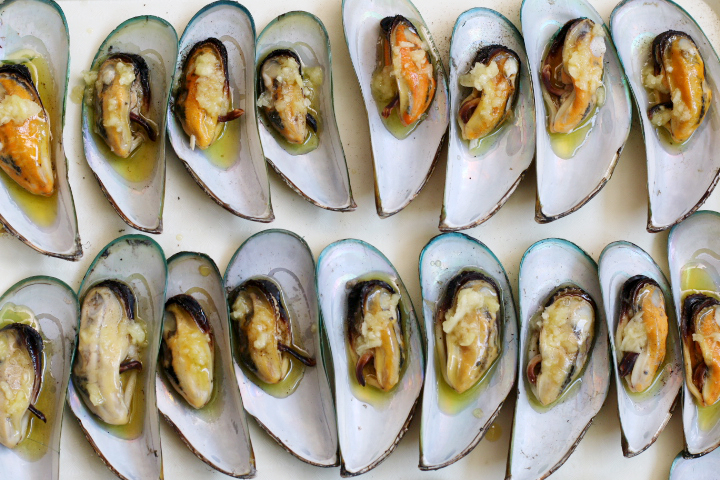 Cook the mussels until they open up. OPEN UP. 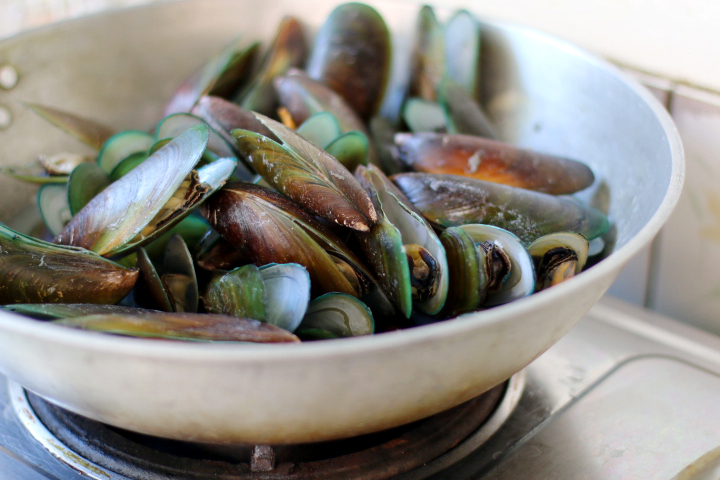 After removing them from the pot, open up the mussels and separate the shells from each other by breaking off the hinges. ASSEMBLE. 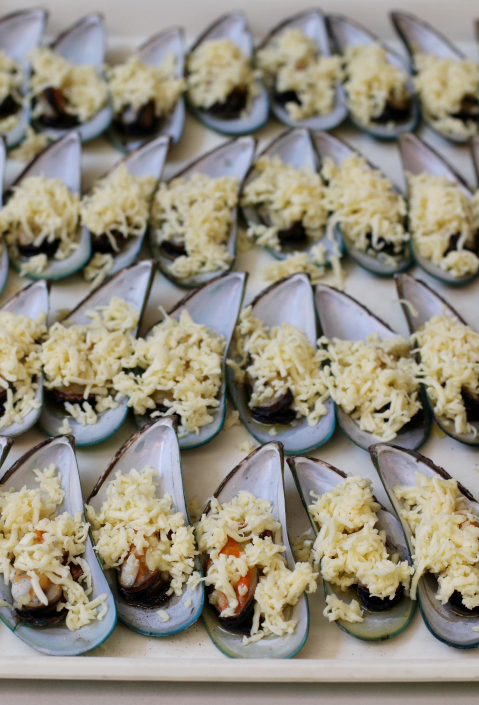 Place the shells with mussels on them on a tray. 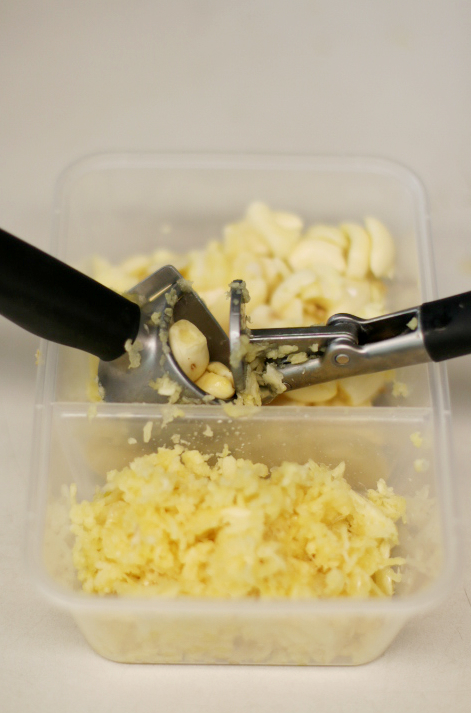 Add crushed garlic, butter, and grated cheese on each shell. TOAST/BAKE. 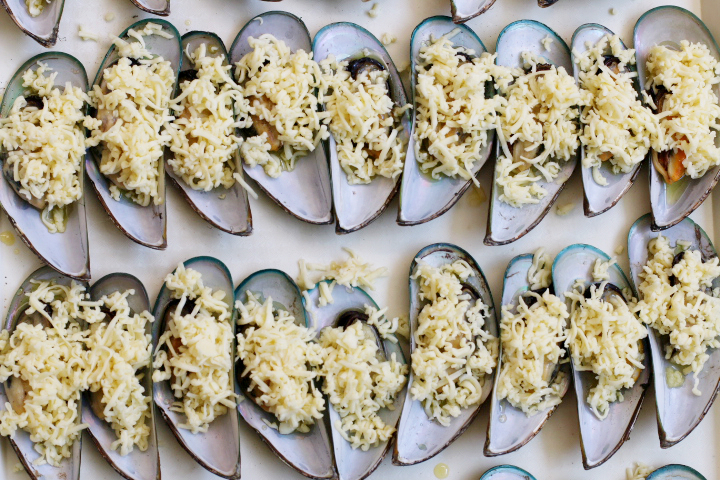 Using an oven toaster, heat the mussels for 8-10 minutes or until the cheese on top starts to sizzle and become brown. Using an oven, bake the mussels in 375 F for 10 minutes.